Bocce is an Italian Institution. The game of bocce has been around since Roman times and is part of the Heart and Soul of Italians. 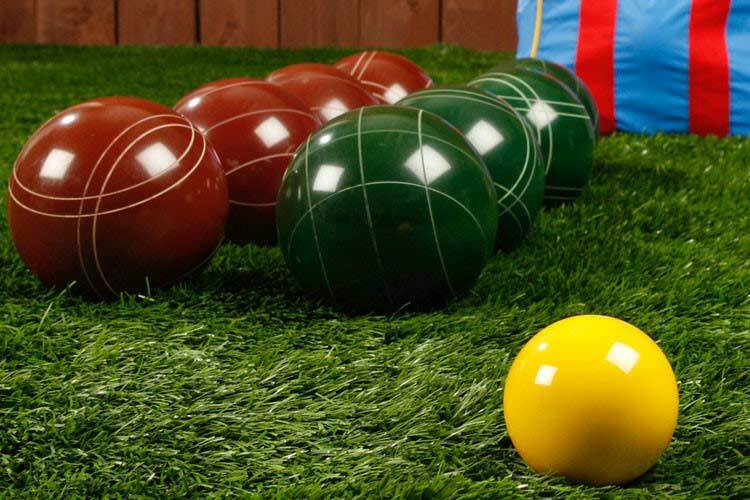 Two teams of up to four players toss heavy bocce balls approximately the size of a softball at a smaller ball called the pullino. Your goal with each underhand throw is to get your ball closest to that pullino. If that means knocking the opponent’s ball away, so be it. I remember my grandfather playing bocce in the old neighborhood when I was very young. 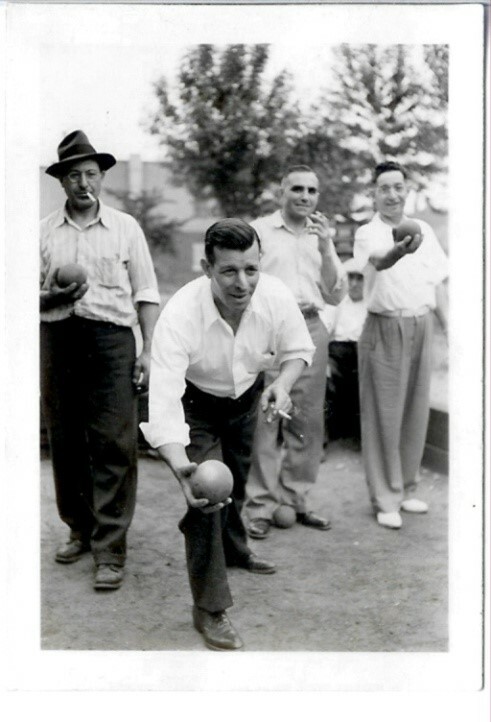 My grandfather Giovanni left Italy behind but not the national pastime of bocce. He played competitively with his compadre (his Italian friends) and he took it very seriously. Maybe it reminded him of home. I don’t know. But it was a place where he could be with others like him and compete like an old Roman Legionnaire. 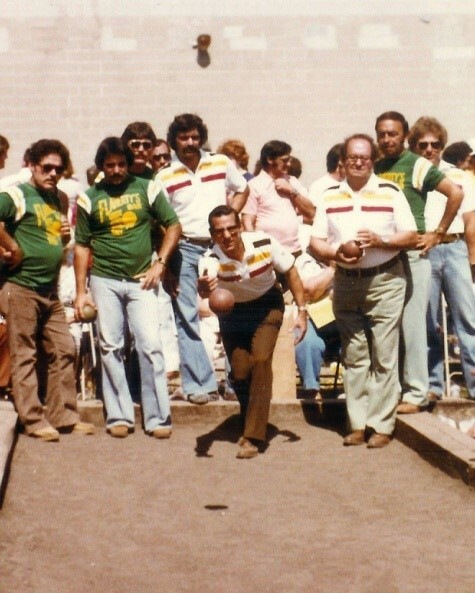 He passed his love of bocce to his son Pasquale, my father Patrick. Patrick played competitively since I was very young. My mother, Muriel Ricci, is pictured here in a local paper. 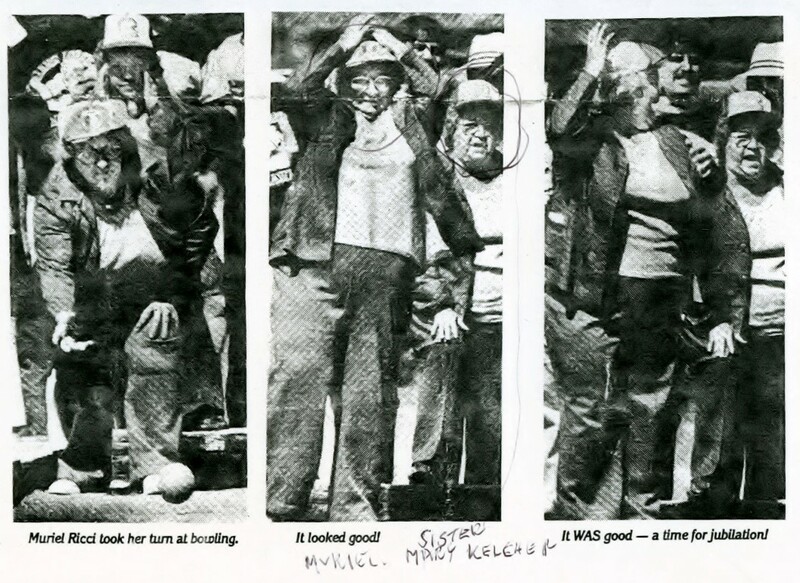 She was very involved in the bocce leagues and never missed a game. My parents LOVED bocce! They skipped birthday parties and family dinners to play this Italian lawn bowling. It always seemed to me that they felt so at home with other Italians like themselves and they were good at the game. And they laughed and fought for the win every single time. 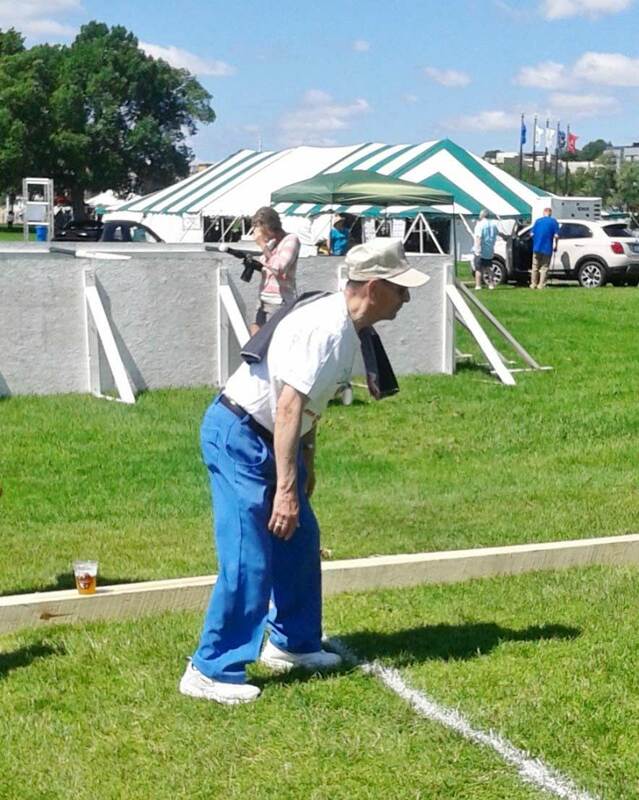 My mother has passed on now but my father is still playing bocce wherever he can find a game. This year at Festa Italiana MN (festaitalianamn.org) on Harriet Island he had his chance. My Papa’ Pasquale played for the Take Me Home Italy team and was the eldest player to compete. At the age of 91 he still had form to be proud of. He had the time of his life. The heat doesn’t bother him. He loves to compete. And even though at the age of 91 he has difficulty remembering things, he recalls every moment of the competition in vivid detail. I am thankful to Festa Italiana MN for offering Bocce this year for the first time. It was a gift to my father, my brother and nephew who played with him and all the other participants. It is a piece of every older Italian and it gives us a glimpse into the heart and guts of our family. There are no more Roman Legionnaires. Their spirit still lives on inside my father and others of our heritage. They go for the gusto, they play to win, they are determined and they have fun doing it. When you go to Italy look for bocce. You will find it around the corner on a narrow street in a small village and they will be playing with gusto!